If you are having trouble with any of the following boogie symptoms then I may be able to help you out as I have spent more than my fair share of time on these metallic monsters. Mesa Boogie amps are reveered by players for their unique sound. But for us Amp techs they can be a pain. 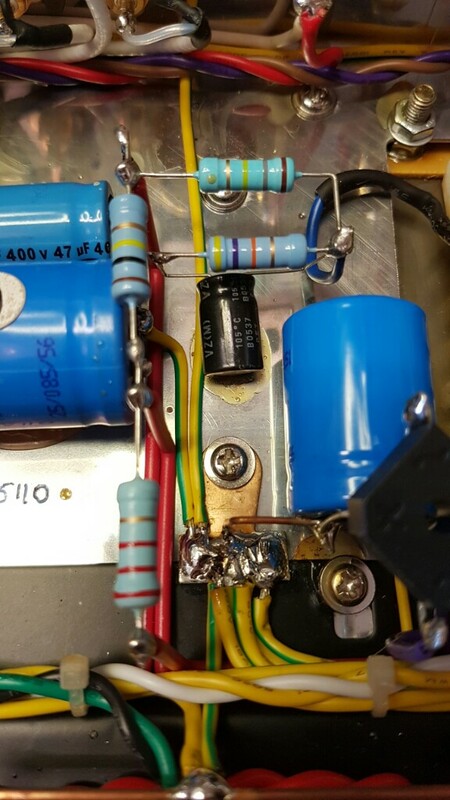 Not only do they use unique to Mesa Boogie components but they also choose to hide circuit board markings so that diagnosis can be tricky they are helpful with schematics but they schematics are not easy to connect with the PCB in the amp as there are no component references. Intermittent output, or rather occasional fading output. 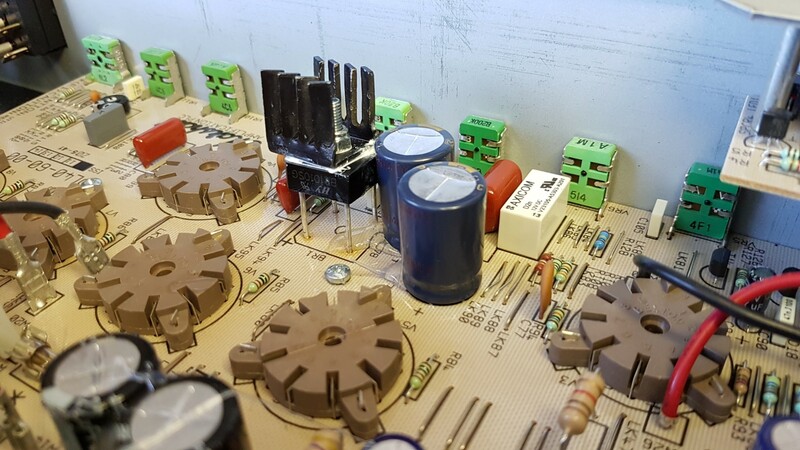 This is a common problem in amps usually caused by an unreliable connection somewhere in the signal chain. Usually such a fault will be either permanent or intermittent and respond to thump on the cabinet. With Boogie it is extra annoying as the intermittent nature is temperature / time related and of course it will let you down when you really need it to be reliable. Bias light flicker – check the little red or green light on the rear when the output fades. Sometimes the output fading and the light flicker coincide together and sometimes not. Channel switching strangeness including flicker, dim lights, no lights etc. Seems more noticable on footswitch but that actually it is usually the same with the rear switch. 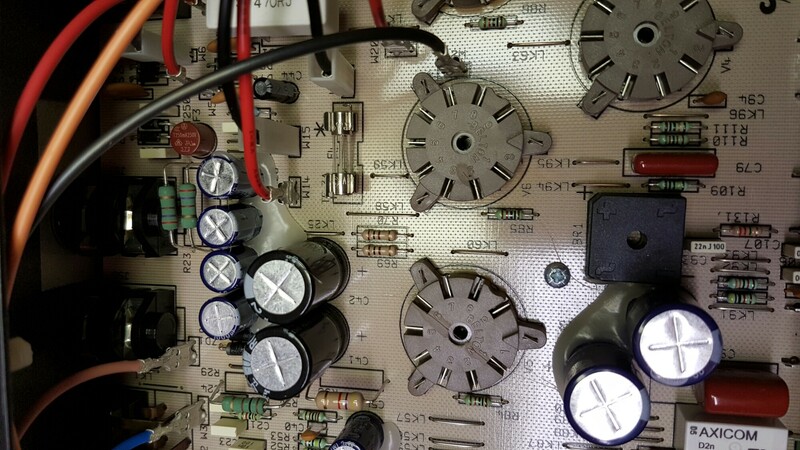 After a good ten years use this valve pre amp started developing a little crackling and rustling noise on some of the inputs. The cause is oxidisation on the rotary selectors. 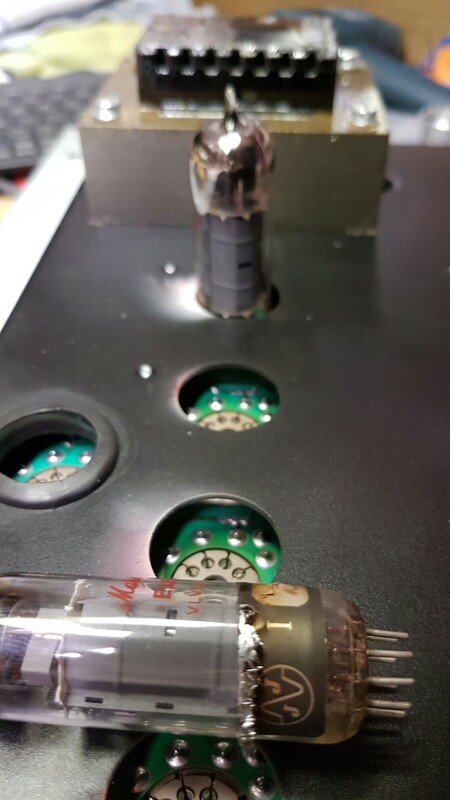 As you can see from the dismantled switch in the picture the contacts on the left are dull with oxidisation whereas the ones on the right are shiny and would provide a good contact. Unfortunately cleaning switches is not possible they must be replaced. Once repaired the owner was pleased to report that the preamp sounded better than ever. Why? Well this is because of how important a good contact is in delivering the whole signal. Degradation of contacts over time is difficult to notice as our ears get used to it. So great to hear a 15″ speaker again. This is driven by a 30 watt class A four valve EL84 power section in WEM’s seemingly dated combo. But oh boy does it pack a punch. Rather than 30 watts you would be forgiven for thinking 100 to 150 watts. Such is the trickery that we have become accustomed to. It’s called a 45 Dominator but nobody seems to know why. Perhaps it was meant to put out 45 watts but that is going to be tricky with EL84. Maybe it was aimed at middle aged home musicians in their mid 40s. Couple of things to point out about this amp that make it rather special. Features that would be welcomed on many of today’s amps. 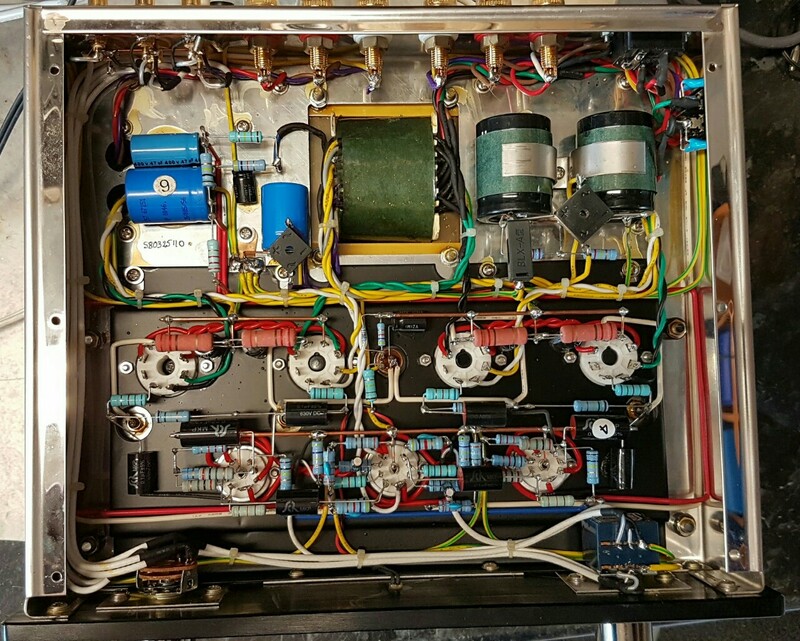 First of all is the amp chassis cushioning system. The brackets holding the amp chassis have for rubber supports that cushion and absorb all vibrations from the mighty 15 inch Italian speaker. I would so like to see this feature added on to some of the Princeton clone amps and other small Fender combos. The other thing that I really like is the preamp screening cans. 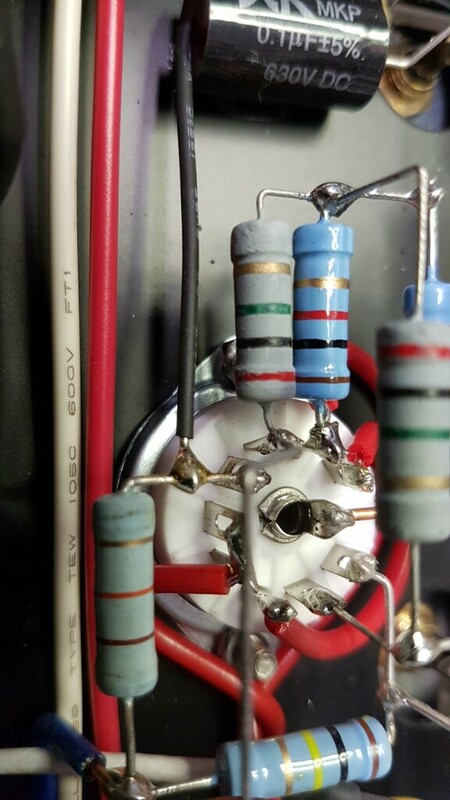 Most amps have aluminium screening cans to minimise noise in a preamp stage. 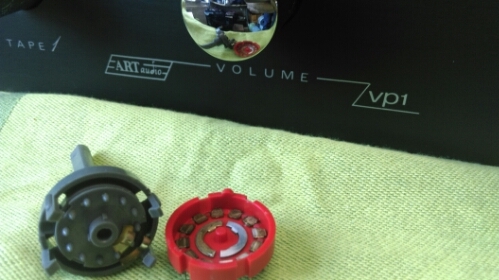 The problems with these things spring loaded cans is that they tend to resonate and rattle. here in WEM they have chosen to wrap the preamp tube with a spring loaded piece of steel. This simple innovation is truly a sign of the innovation that WEM was capable of. As is typical with boutique amps every conceivable part has an up market feel to it. Even the screws are stainless steel, you can’t even see some of them. It’s a nice touch of luxury. Sounds wise this Princeton clone, like the original is super loud for a small amp. Both suffer from cabinet ratttle and power tubes do seem to suffer from vibration damage more than larger amps. But that said this amp oozes that appeal that many guitarists seem to long for and it is a delight to play and listen to. A very simple amp probably quite a budget item in its day but with partridge transformers and simple design and build Carlsbro created a classic that will go on forever. Fantastic example of the great Hiwatt amps here. Lots of vintage character and unbelieveable power and weight.